The garden is finally beginning to get going after a slow, cool, rainy May. Therefore, I have been out there puttering and not keeping up on certain computer activities. So here is a quick little look at the new blooms, leaving the continuing bloomers for some other post...someday. Maybe not new...but the beginning of the lighter summer bloom. The wisteria blooms its massive total coverage bloom sans foliage in early spring. Now, as long as I keep the seed pods picked, the wisteria will continue to bloom most of the summer. Bat-faced cuphea, a plant I first saw on Annie in Austin's Transplantable Rose, is a favorite. It has just begun blooming but will continue most of the summer. Summer squash Tondo Scuro di Piacenza promises summer goodness. Green beans are just beginning to bloom...one of my favorite summer treats. Shasta daisies, Leucanthemum x superbum, is also just beginning to bloom. One of the old reliable early summer bloomers in the Central California garden. Check out world wide blooms by visiting Carol at May Dreams Gardens. Besides dreaming of May she dreamed up this great way for us to virtually visit each other and enjoy a myriad of blooms! The squash has really lovely blooms. Who knew? Why, oh why, do I not grow batface cuphea?! They're SO cute! Oh, Leslie - love to see your wisteria in bloom! Neither of mine -a native wisteria in a container & a Milletia/"Evergreen" wisteria on an arch - have made a single flower. 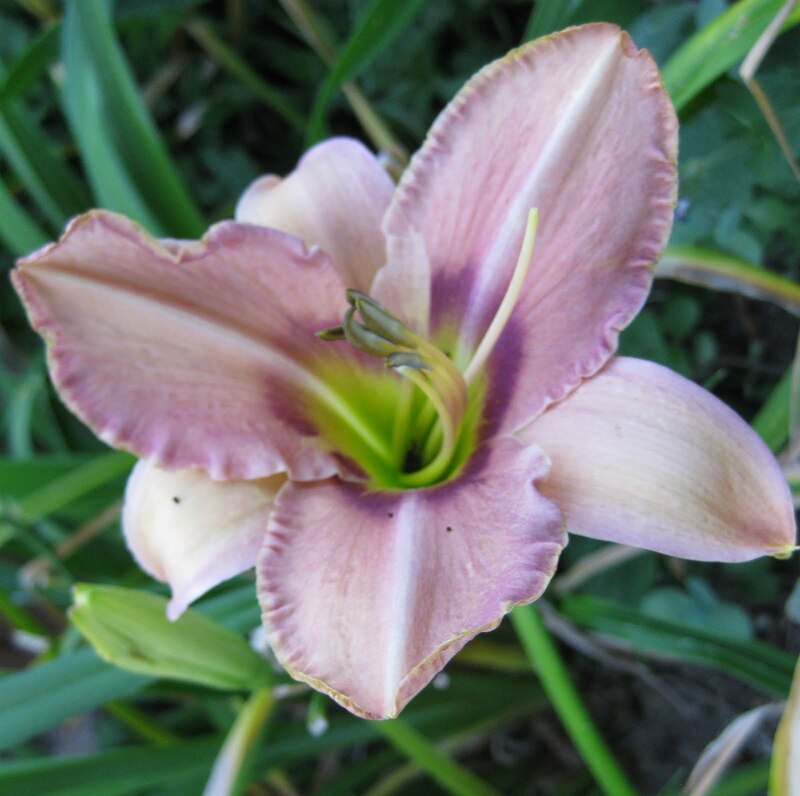 That's a really pretty daylily, too. Is the Batface cuphea perennial for you? It's usually annual here, but so worth buying. It's just so nice to see things blooming. I've never heard of batface cuphea. Another GBBD discovery! The cuphea is perennial here although it dies back a bit in winter. We all have Annie in Austin to thank for bringing it to our attention on a long ago GBBD...it really is cute! Love the daylily. Love that you wrote down the name....just can't remember where. The story of my life!